Additional Power Supply Information: Please check your power supply board before ordering. If you have a stock power supply board, make sure the +12V and GROUND test point loops are intact. See the image below for details. If the +12V or GROUND loops are broken off, then you will need to order our Data East / Sega Power Adapter with your kit. 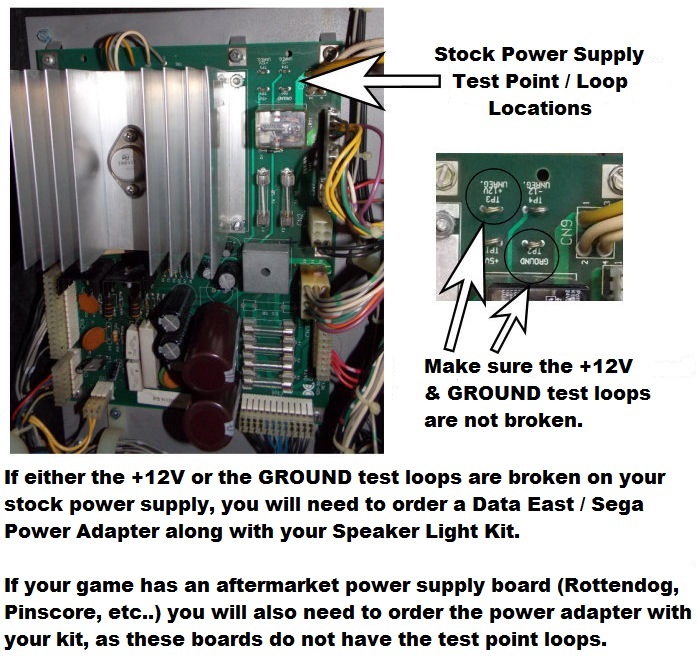 If your game has an aftermarket power supply board (Rottendog, Pinscore, etc..) you will also need to order the power adapter with your kit, as these boards do not have test point loops.